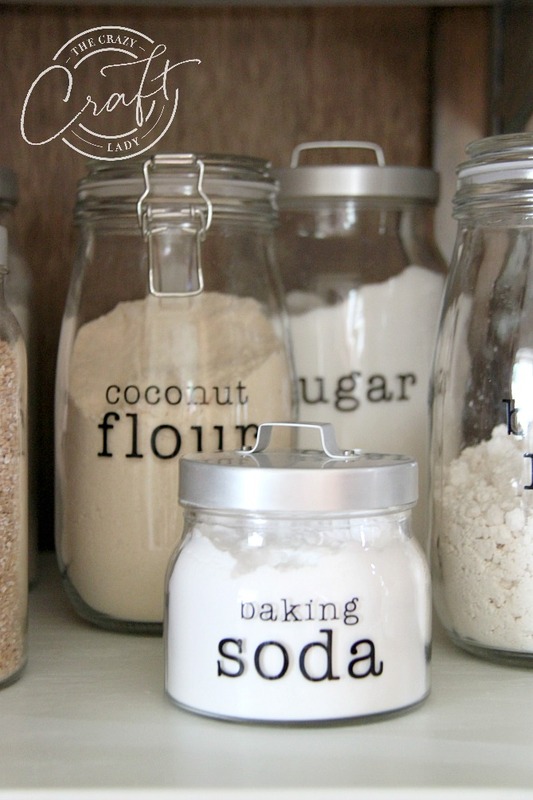 Follow this tutorial to customize your own DIY pantry labels. 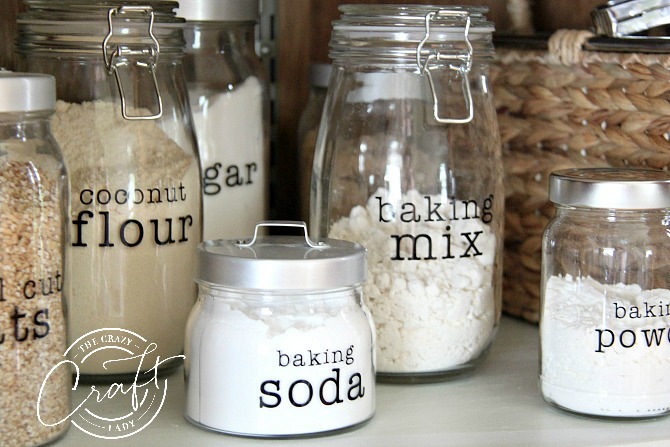 Using a Cricut machine and black vinyl, you can make your own glass jar labels for your kitchen. 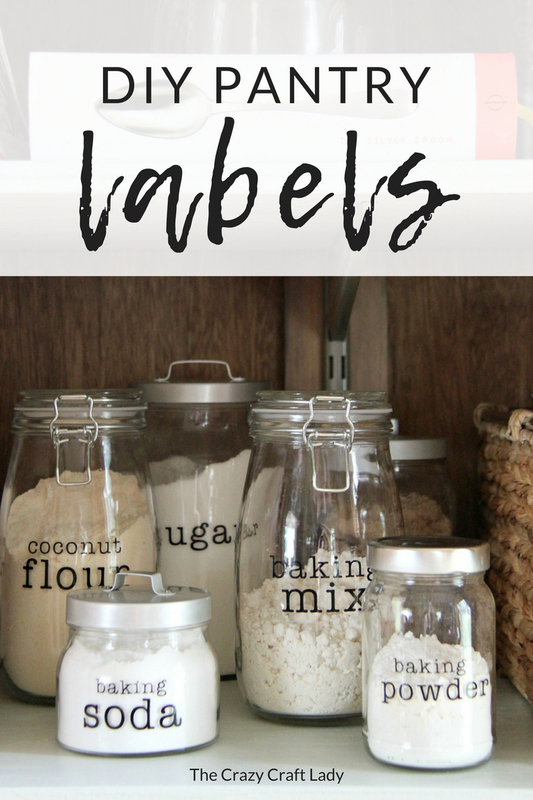 Whip up these DIY pantry labels using your Cricut machine. 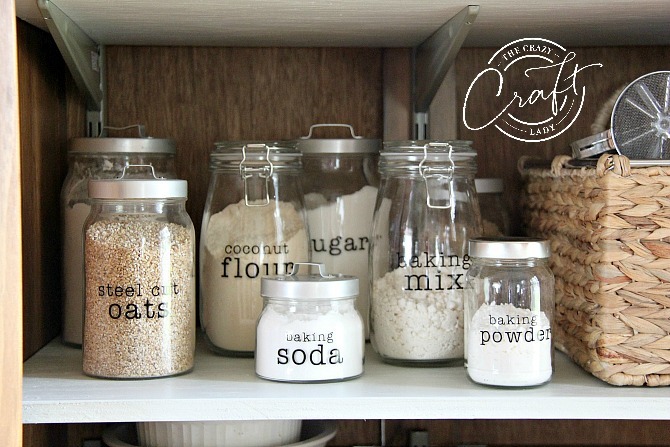 There is nothing I love more than an organized and pretty space. 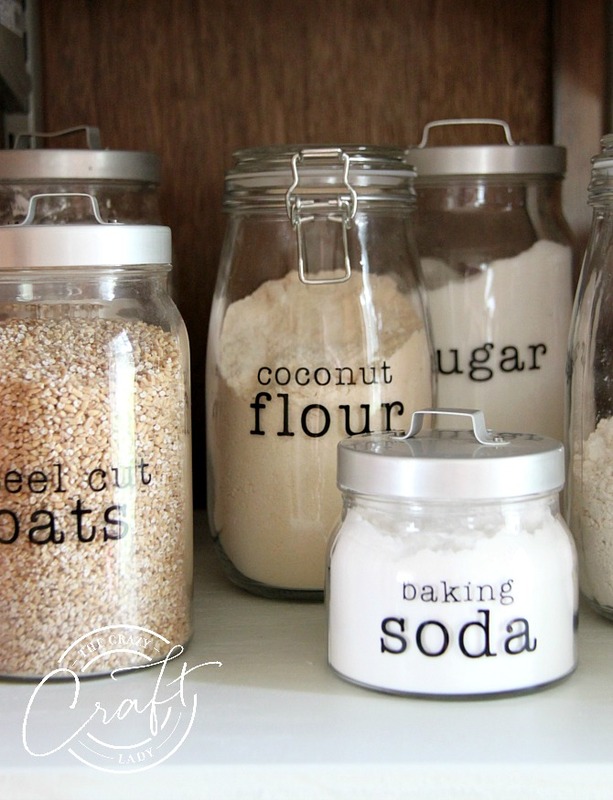 I have been slowly trying to get rid of the plastic in our home and replace it with glass. 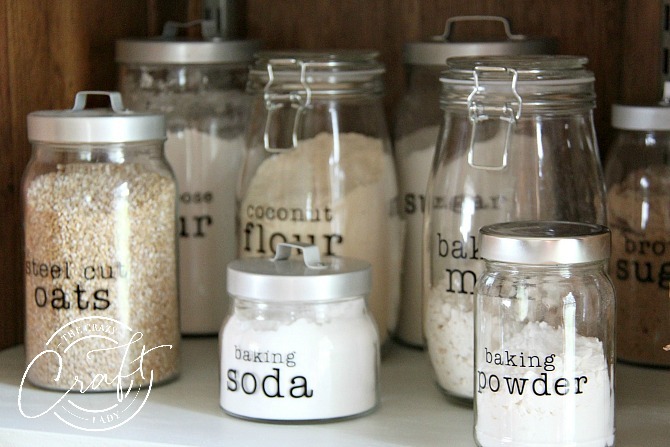 I have gradually collected jars from thrift stores TJ Maxx, and when I completed our baking cabinet, I knew this was the time to upgrade my labels. 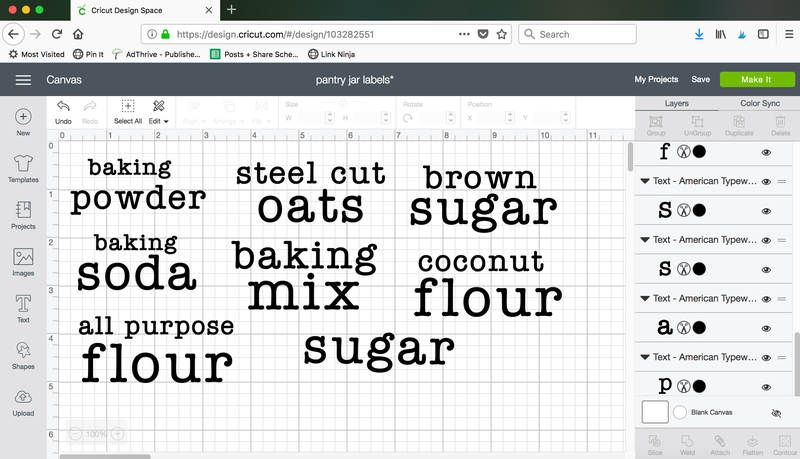 I grabbed my Cricut machine and black vinyl, and after about 30 minutes I had all new labels. 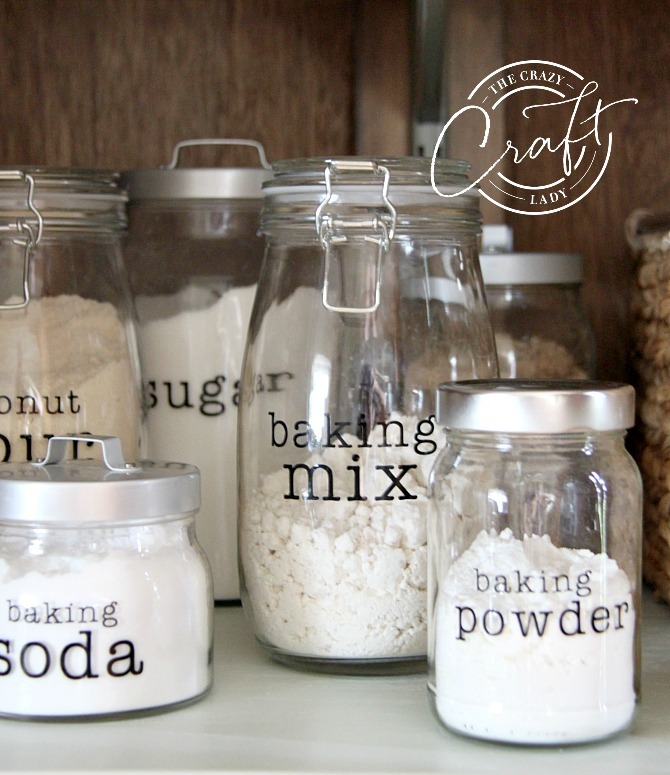 I just can’t believe it took me so long to get around to making them. I’m in LOVE!